Tis the season for giving, and as the holidays rapidly approach, we wanted to highlight thecharitable initiatives sponsored by Trancas Country Market, West Malibu’s favorite retail and dining destination. Beginning November 1st through the first week of December, in partnership with one of L.A.’s most beloved nonprofit organizations, Baby2Baby, Trancas will help spread the holiday cheer to youth in need, inviting Angelenos and visitors alike to participate with them in the market’s holiday donation drive. Through the month of November, market visitors are encouraged to drop off new and like-new toys, children’s clothes, and other essentials including hygiene items (soap, toothbrush/toothpaste, lotion, baby powder, hairbrushes, etc.) at the market’s donation bins located in Vintage Grocers and SweetBu Candy Company (30745 Pacific Coast Highway Malibu, CA 90265.) Please visit the Baby2Baby donation site for further details on high-demand items. Vintage Grocers’ patrons can also drop their donations at the store’s other two locations in Westlake Village (140 Promenade Way, Ste. A Westlake Village, CA 91362) and new Pacific Palisades (15285 West Sunset Blvd. Pacific Palisades, CA 90272) locations. Trancas tenants are pledging additional support for Baby2Baby’s Family2Family program, an initiative that provides donors a unique opportunity to have a direct impact on the life of an individual child. Program participants are paired with a child in need and provided with a bio, sizing information, as well as a wish list to help give every child a happy holiday season. 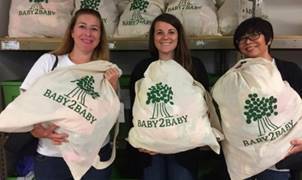 Baby2Baby provides low-income children ages 0-12 years with diapers, clothing, and the basic necessities that every child deserves. By distributing to nonprofit partner organizations including homeless and domestic violence shelters, Head Start programs, foster care programs, and children’s hospitals, Baby2Baby will serve more than 180,000 children in Los Angeles this year and thousands more in 20 cities across the country through the Baby2Baby National Network. Los Angeles’ Baby2Baby flagship is a highly regarded charitable organization whose board members and donors include well-respected community leaders and celebrities such as Nicole Richie, Jessica Alba, Joy Cho, Kerry Washington, Rachel Zoe, and more. 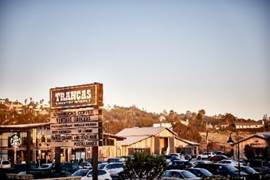 Trancas Country Market, a local hot spot and refreshing road trip stop for everyday essentials, is conveniently located in West Malibu on Pacific Coast Highway, directly across from Malibu's top attractions. A herald of the Malibu-chic lifestyle, the market houses a diverse array of fashion, design, and lifestyle retailers offering something for the whole family and a selection to match any style. From a relaxing, open-air commons to a beloved local garden nursery, and interactive events year-round, Trancas Country Market provides a one-stop shop for Malibu culture in all its many forms.